Never Let You Go by Chevy Stevens is about Lindsey young mother who is in an abusive marriage, both verbally and physically, and decides to sneak out one night with her daughter Sophie and leave her husband Andrew. Fast forward eleven years, her now ex-husband is released from prison. Constantly looking over her shoulder, Lindsey is convinced that she is being watched. Her boyfriend is attacked, and her house is broken into. 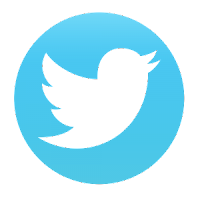 Is her ex-husband doing all of this or is there someone else out there seeking revenge? I randomly picked up this book at the library and checked it out last weekend knowing that I really didn't have time to read it. However, it kept calling to me so I ignored all the other book related commitments I'd made and began reading Never Let You Go this past Wednesday. A couple of weeks ago, I put a hold on In A Dark, Dark Wood by Ruth Ware at my local library. Totally forgetting that I had done this, I went into the library this past Saturday to pay a late fine from a few months ago, checked out a Chevy Stevens novel, and asked if they still had any sun glasses left for the total solar eclipse . . . They didn't have any left. While doing all this, they told me that they had a book on hold for me, which was the aforementioned book by Ruth Ware. Like Ware's second novel, this novel read much like an Agatha Christie novel, and at one point, it reminded me of Ten Little Indians (also known as And Then There Were None). Much to my surprise, one of the characters mentioned that Agatha Christie book and how they felt like the location of the hen party reminded them of it. 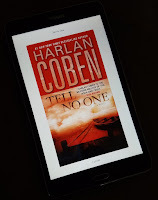 There are very few books that make me want to stay up all night to finish it, but Harlan Coben's Tell No One was one of the few that made me want to stay up all night. However, I wasn't actually able to do that as I had lunch plans the following day. All I can say is that I am thrilled that this book was chosen for one of the book clubs I belong to. This was my first time ever reading one of Harlan Coben's novels, and I absolutely loved his writing. I was sucked in from page one, and it had twists and turns galore. Like most thrillers, it does follow the typical formula most thriller writers use, so you knew the ending would be somewhat predictable. There really isn't much I can complain about . . . except for the last page when you're thrown for yet another twist. I really didn't care for that last minute twist. Other than that I was quite pleased. Over twenty years ago, I bought the book Beach House by R.L. Stine when I was a high school student. I remember feeling that this book by him was so much more mature than his other works and was super impressed by the fact that it alternated between the year 1956 and the present day. With that being said, I was even more impressed that he included time travel into the novel and was totally surprised that one of the characters had "come back from the dead" to kill him. At that point in time, the only other book that had to do with any kind of "time travel" that I read was Mary Downing Hahn's middle grade book Wait Til Helen Comes, which isn't really a comparable book.